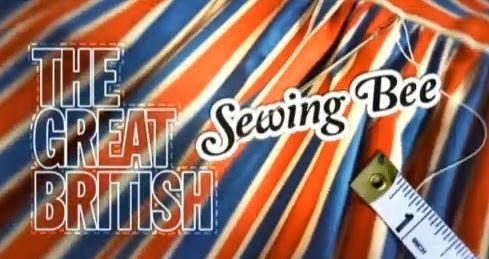 Calling all sewers, Love Productions is on the look out for some new sewing talent for the upcoming series of The Great British Sewing Bee! I know, it seems like it was only yesterday that we put the call out for this series but time does really whizz by! I so wish my dress making was up to scratch but alas this past year it wasn't really a priority but I must learn to make more clothes. Properly! 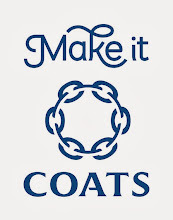 As I've mentioned many a times before I can sew but I really wouldn't feel comfortable having anyone scrutinize my work too closely as it might just unravel with one glance from the judges! They are amazing but they kind of scare me too. Seamstressing and tailoring is an art and I'm still perfecting it so maybe in a couple of years so... I'll leave it to you talented people. For now! 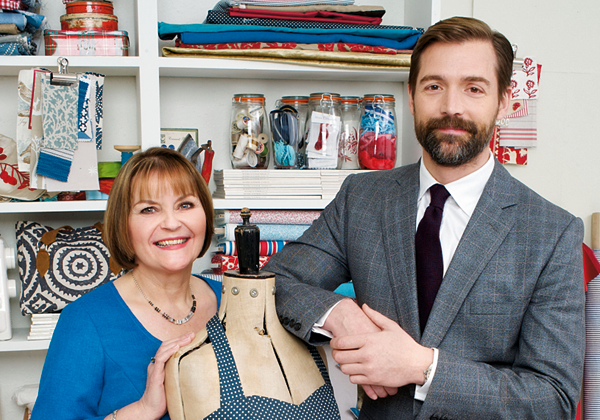 as long as you have a passion for sewing then this might be your chance to escape from behind the sewing machine and onto the Great British television screen! So if you know your way around a hem and the difference between cotton and spandex then contact sewing@loveproductions.co.uk to find out more. German design guru, Peter Fehrentz's "Made by Yourself"... we review his new book! Peter Fehrentz is a German stylist, product designer and photographer so this book is so much more then a simple straight forward step by step instruction manual! "Made by Yourself" isn't an ordinary D.I.Y. 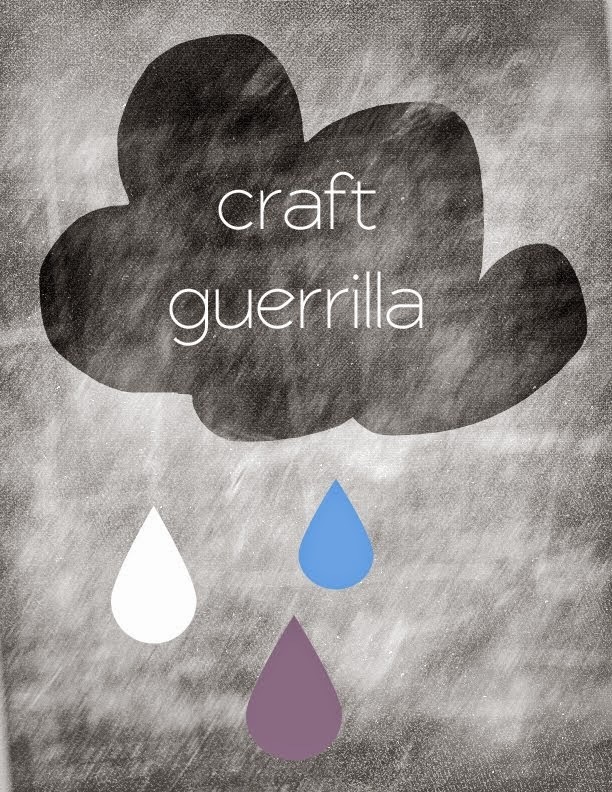 craft book either it's also an amazing design portfolio packed with great projects and ideas which you can make too! You can really get a feel for the style, ideas process, inspirations and ethos behind the man and his work. He offers well thought out, effortless projects with a very crafty approach to the overall production. Though the projects are far from basic. 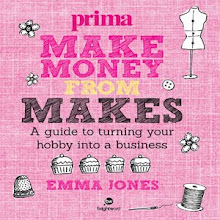 It's the perfect project book for the home, from furniture to accessories! Plus I love the way the costs, difficult levels and making time are clearly denoted using a score system of 01 (easy) to 06 (difficult). Setting the bench mark! 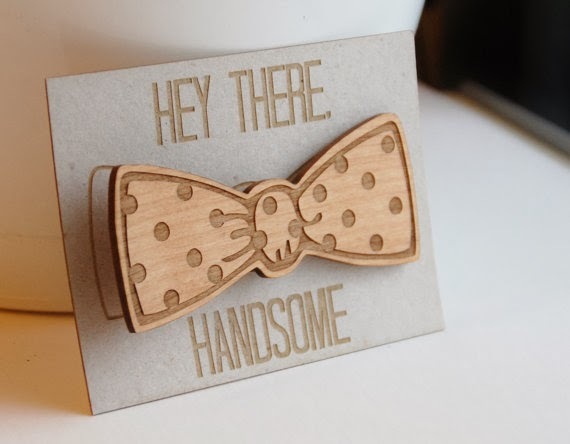 Brilliant man friendly projects which are both handsome and useful! I was really impressed and surprised by it mainly because it's very man friendly. 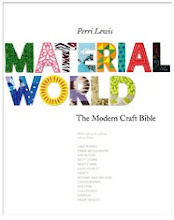 Oh yes, I say this because this has to be the first time ever that my partner asked to look at one of my craft books! He's not adverse to making in general but he's not into the whole "cup cake crafting" which is how he calls the mainly female dominated craft industry... "fluffy, sickly sweet -like a cup cake- and not geared up to the male species at all"! Hey, these are his words not mine... but I do see his point. 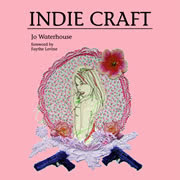 My partner was after all a scout so he loves whittling, tinkering and general man crafts but shies away from the overly decorative, frilly type of craft which usually means he takes no notice of craft books... however with this one he was intrigued. As it sat on the table -and may I add that at first glance he had no idea that this book was written by a man!- he asked to have a look at it. 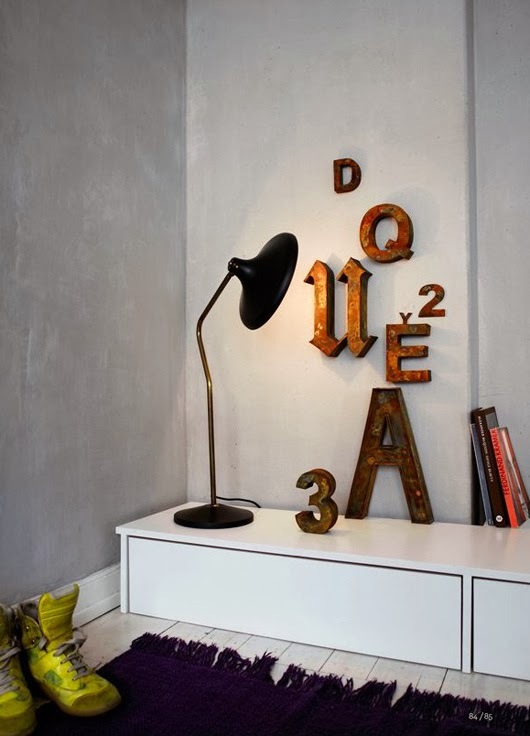 Industrial masculinity can look great with softer female hues... like the grey walls behind the metal letters. Love it!!! So I asked him "What do you think about this book?" "First..." he said " it's really nicely defined, as in each chapter uses a certain material. 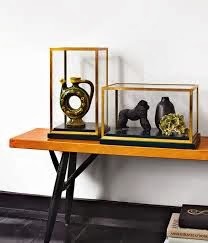 The projects also look good and are practical not just decorative even though there are a few things in there which are pure decoration like the mesh dog sculptures but... it's not just nic-nacs! There's stuff I'd actually want to make to use. Even the mesh dogs (sculptures), I'm sure I could make them into a light fitting or something." "What about the overall design of the book, the look and feel, what about that?" He picked up the book as if weighing a bag of sugar " It's nice and chunky, feels substantial. The photography is cool too and it's nicely styled." Remember he has no idea who Peter Fehrentz is least of all that he is a stylist. Pensively he then adds "... he's got a good eye for design plus it's explained (the tutorials) in a clear and concise way. I like that." "So what's you favourite piece?" I asked. "I really like the clothes rail. It's made using industrial piping plus it's really nicely designed with a shelf space at the bottom. And it's on castors! 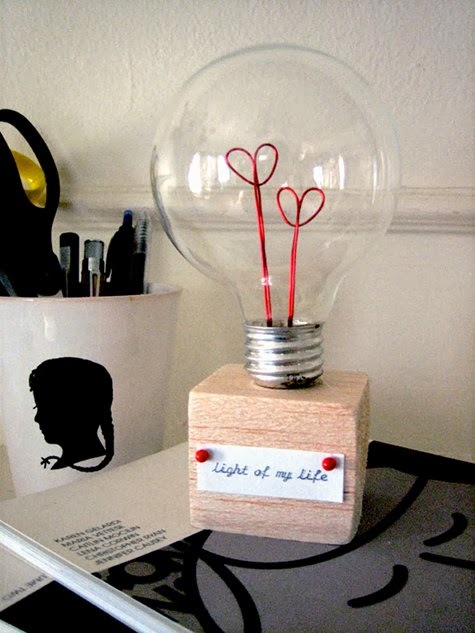 Actually I'm quite tempted to make one... and the glass display cases are pretty cool too." Pipe clothes rail... quite cool and very good to store all my frocks! Ha, result! Maybe he will make those clothes rails which we desperately need which means he also gets a chance to put his d.i.y. and creative skills into making home stuff with my approval! It's great when you can agree on and make something together that you both like! You know "many hands make light work" kind of thing too plus it's nice to share a creative interest, so yes... if you also live with a partner who's not super receptive to your usual crafting pursuits then get this book! 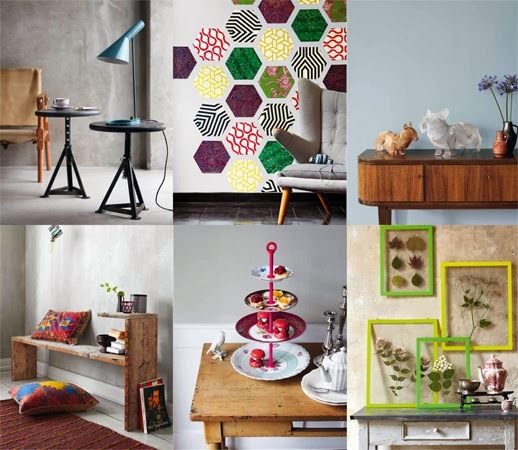 Lots of projects which will tickle the ladies too and not just the men folk! Finally I just need to add that this book is not a super macho, testosterone packed book either as for example it suits me too! I'm neither a fan of the overly soft or the saccharine infused craft books which can dominate the industry. I actually feel like those overly girlie type of books can alienate the more "tom boy" crafter like me. Overall it's a handsome, stylish book yet it's not afraid to explore the "female" side of design & craft either... it's got plenty of colour, pattern and soft edges to sit harmoniously along side the concrete, glass and the metal piping. We loved it and we look forward to making quite a few of the projects to add to our home. Together. Another project we really need to make! As the little plump winged cherub gets ready to aim and pluck his bow with fiercely sharp arrows we're reminded of just how much we LOVE you guys!!! So here's our top pick of the lot which are sure to set your lovers heart on fire... but please be careful, we really can't have any of you with burnt fingers, you'll need them to craft! 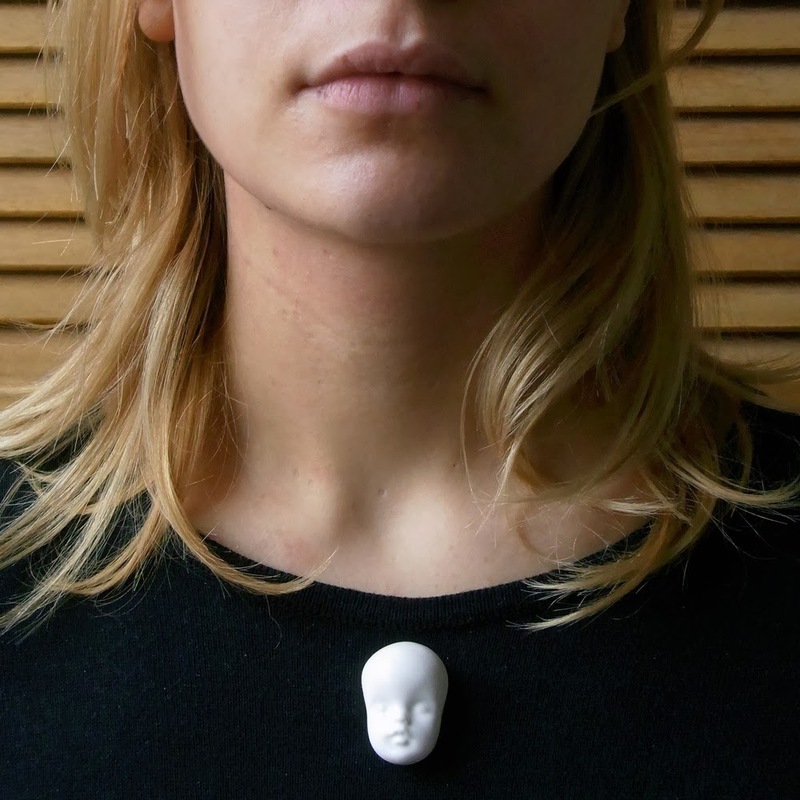 Alex Garnett Doll Face ceramic jewellery Brooch// Necklace! 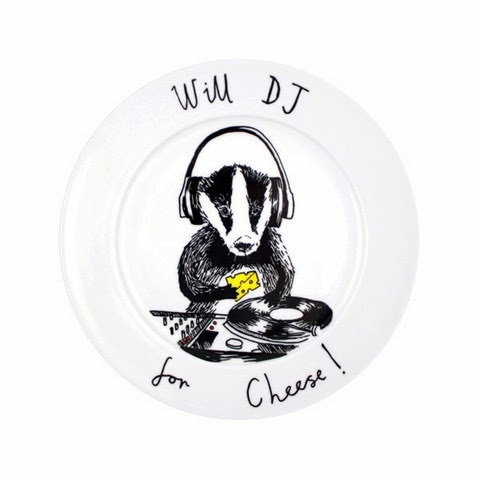 JimBob Ceramics "Will DJ for Cheese" plate. 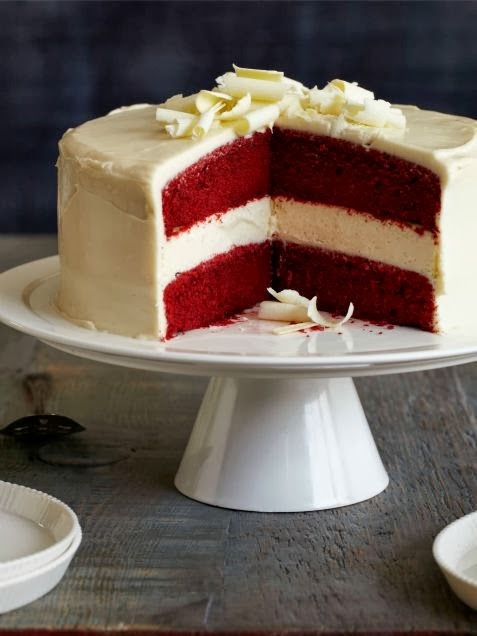 photo © The Recipe Girl Cookbook by Lori Lange. Copyright © 2013. Published by Houghton Mifflin Harcourt. 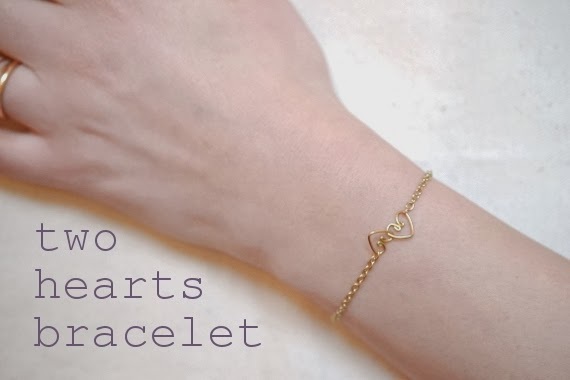 Two hearts, Bracelet tutorial via Silvia Chelazzi. You'll be sure to impress your lady (or mum, or nana too! They also deserve some lovin') with this amazing bracelet. 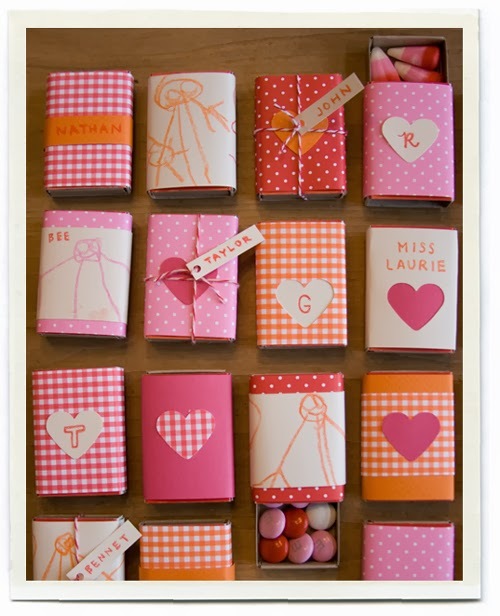 Follow the instructions to make something your lovely sweet heart can treasure forever! 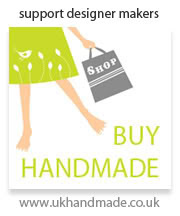 Whatever you decide to do... whether you buy it or make it... don't forget that it's the thought that counts and make it count even more by making it "Hand Made"! 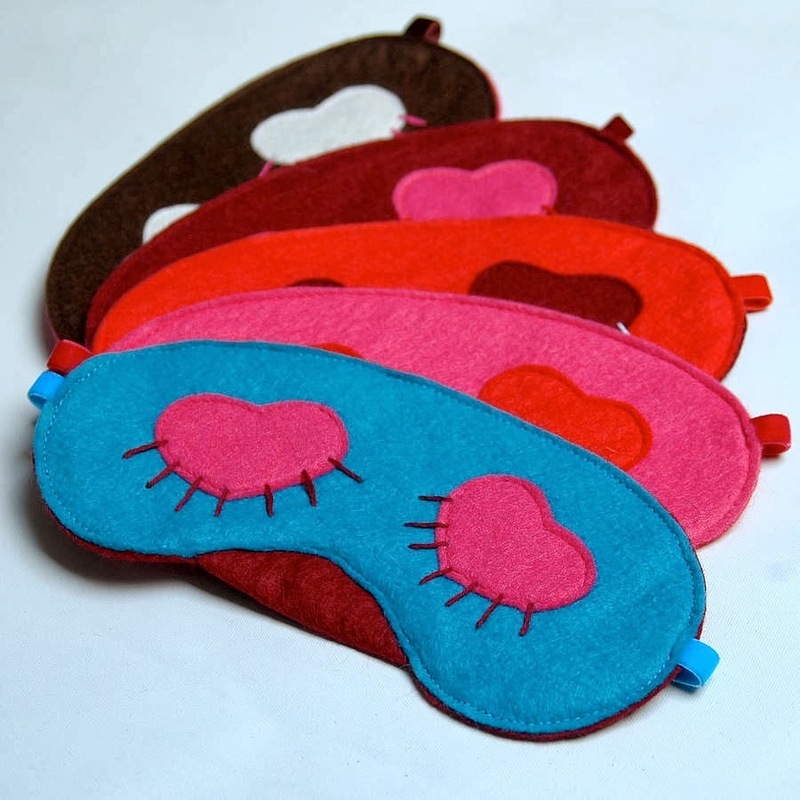 Happy Valentine's day Craft lovers.